USS Monitor , a 987-ton armored turret gunboat, was built at New York to the design of John Ericsson . She was the first of what became a large number of "monitors" in the United States and other navies. Commissioned on 25 February 1862, she soon was underway for Hampton Roads, Virginia. 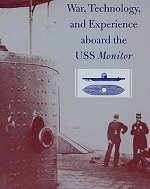 Monitor arrived there on 9 March, and was immediately sent into action against the Confederate ironclad Virginia , which had sunk two U.S. Navy ships the previous day . 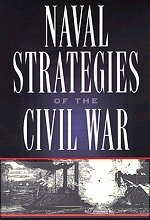 The resulting battle , the first between iron-armored warships, was a tactical draw. 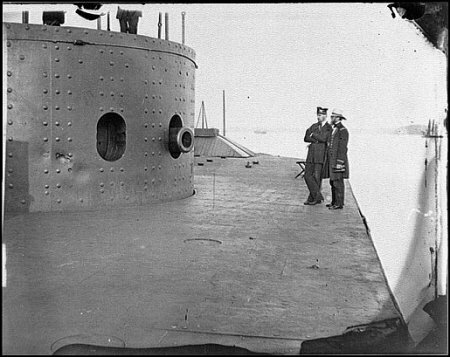 However, USS Monitor prevented the CSS Virginia from gaining control of Hampton Roads and thus preserved the Federal blockade of the Norfolk area. 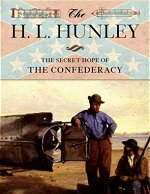 Following this historic action, Monitor remained in the Hampton Roads area and, in mid-1862 was actively employed along the James River in support of the Army's Peninsular Campaign. 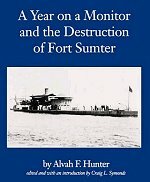 In late December 1862, Monitor was ordered south for further operations. Caught in a storm off Cape Hatteras, she foundered on 31 December. Her wreck was discovered in 1974 and is now a marine sanctuary. 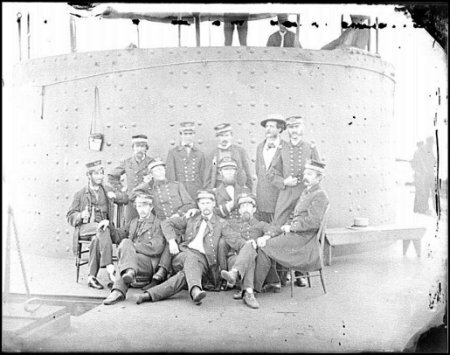 USS Monitor 's construction resulted from a study of ironclad warships mandated by the Congress in July 1861, as the Civil War moved rapidly from crisis to serious armed conflict. During August and September the study board's members, Commodores Joseph Smith and Hiram Paulding and Commander Charles H. Davis, reviewed seventeen proposals and selected three for construction. Two were relatively conventional designs and became USS New Ironsides and USS Galena . The third, unconventional in virtually every way, became the Monitor . Swedish engineer John Ericsson was personally responsible for Monitor 's conception and the details of her design. Perhaps with Scandanavian coastal defense conditions in mind, he had been developing the concept on paper for several decades. What emerged was well-suited for the Civil War's inshore fighting: a relatively shallow-draft iron hull, topped by an armored raft that provided good protection against ramming and cannon fire. Freeboard was less than two feet, sufficient for coastal requirements, though a real problem when the ship went to sea. 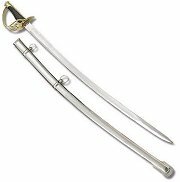 Engine power was modest, but again sufficient to the need, and a Navy requirement for masts and sails was quite appropriately ignored. The most stunning innovation, on a ship whose design was dominated by innovations, was the method of carrying her guns: a thickly-armored round turret, twenty-feet in diameter, rotated by steam power to permit nearly all-around fire from a pair of eleven-inch Dahlgren smoothbore shell guns, the heaviest weapons then available. Iron fabrication began even before the Monitor 's contract was issued in early October. Rapid construction was a necessity, as the Confederates were known to be pushing work on their own ironclad, which became CSS Virginia . The new ship's hull was built by the Continental Iron Works, at Greenpoint, Long Island, with iron stock, machinery and much equipment furnished by other firms. Launched on 30 January 1862, she was outfitted over the next month and placed in commission on 25 February, under the command of Lieutenant John L. Worden . After trials and modifications, Monitor left New York on 6 March. The next day, she encountered stormy weather, which abundantly demonstrated both the inherent seakeeping problems of the design and some more-easily correctable technical difficulties. Late on 8 March, just a few hours after CSS Virginia had spread terror among the Union fleet , the weather-beaten Monitor arrived off Hampton Roads, where her exhausted crew spent a long night urgently preparing their ship for action. At dawn on 9 March 1862, CSS Virginia prepared for renewed combat. 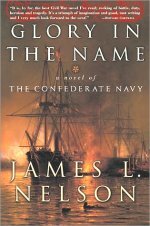 The previous day , she had utterly defeated two big Federal warships, Congress and Cumberland , destroying both and killing more than 240 of their crewmen. 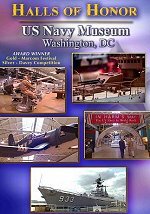 Today, she expected to inflict a similar fate on the grounded steam frigate Minnesota and other enemy ships, probably freeing the lower Chesapeake Bay region of Union seapower and the land forces it supported. Virginia would thus contribute importantly to the Confederacy's military, and perhaps diplomatic, fortunes. 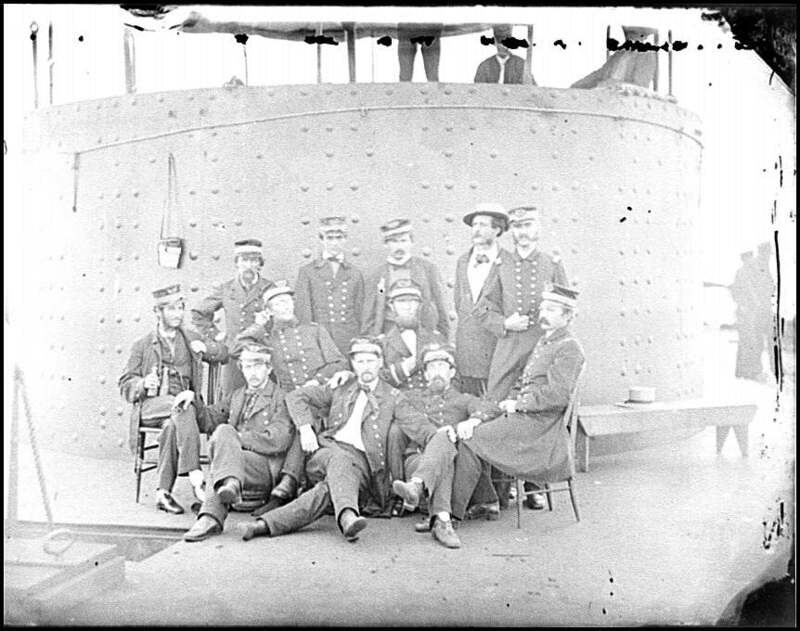 small and low near the lofty frigate, was a vessel that could only be USS Monitor , the Union Navy's own ironclad, which had arrived the previous evening after a perilous voyage from New York. Though her crew was exhausted and their ship untested, the Monitor was also preparing for action. 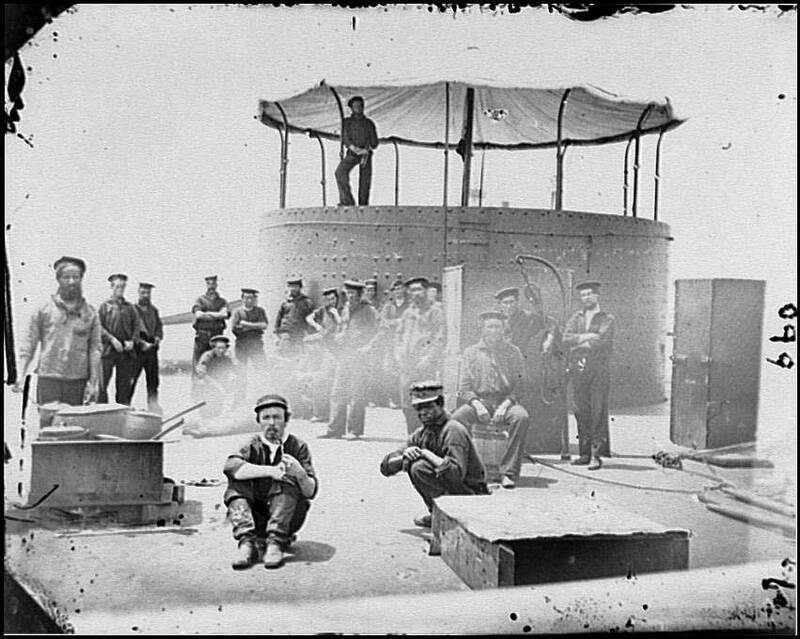 Soon after noon, Virginia gunners concentrated their fire on Monitor 's pilothouse, a small iron blockhouse near her bow. A shell hit there blinded Lieutenant John L. Worden , the Union ship's Commanding Officer, forcing another withdrawal until he could be relieved at the conn. By the time she was ready to return to the fight, Virginia had turned away toward Norfolk. In an attempt to reduce the North's great naval advantage, Confederate engineers converted a scuttled Union frigate, the U.S.S. Merrimack, into an iron-sided vessel rechristened the C.S.S. Virginia. On March 9, in the first naval engagement between ironclad ships, the Monitor fought the Virginia to a draw, but not before the Virginia had sunk two wooden Union warships off Norfolk, Virginia. 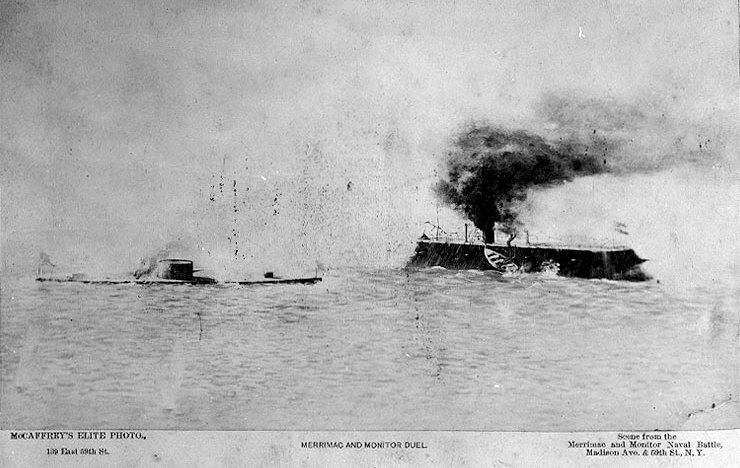 The ship that was burned at Gosport Navy Yard in Norfolk VA and made into the CSS Virginia was the "Merrimack," not the "Merrimac." The "Merrimack" was a 4,636 ton frigate while the "Merrimac" was a 684 ton iron-hulled gunboat that served in the East Coast Blockading Squadron and foundered in a gale off the Florida coast on 15 February 1865. The "Merrimack" was spelled correctly in most Navy reports, but a few mis-spelled it as "Merrimac." Some pre-1900 authors made the error. This error has been perpetuated for many years by many modern authors who fail to utilize original sources. Grades. 2-4. From the All Aboard Reading series, this book tells a double story. 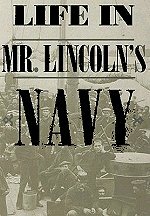 The first part concerns the building of the ironclad ship the Monitor during the Civil War, its epic battle with the Virginia (formerly known as the Merrimac ), and its sinking during a fierce Atlantic storm. The second part describes twentieth-century efforts to find the Monitor on the ocean floor and to raise and restore its gun turret. Thompson's narrative relates the Monitor 's history in an exciting yet responsible way, and Day's attractive illustrations, evidently in ink and watercolor, enhance the drama and clarify details. It depicts the U.S. Navy ships (listed as shown, from left to right) Maratanza , Wachusett , Aroostook , Monitor , Mahaska and Galena operating on the James River, Virginia, in support of General McClellan's army.